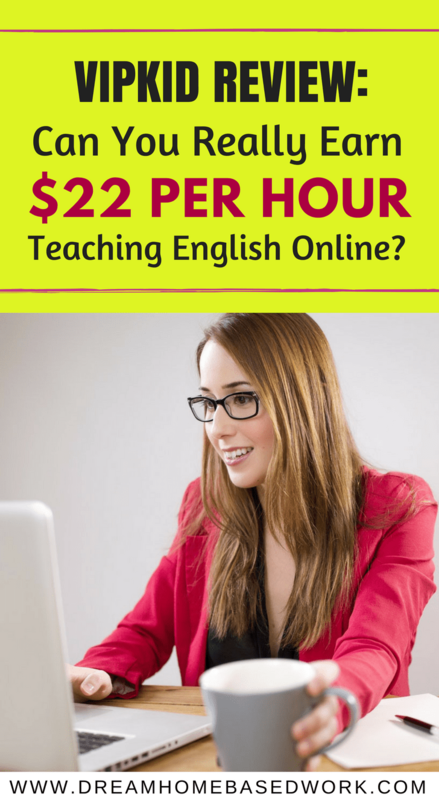 Home » Latest from the Blog » Work at Home Directory » ESL Tutoring » VIPKid: Can You Really Earn $22 Per Hour Teaching English Online? Or are you the one who can teach English language? And do you want to make $22/hour without leaving the comfort of your home? If you're the one, I've got good news for you. VIPKID is the perfect place for you. Tencent's China Most Powerful Education Brand in 2015. And also became the official provider of the TOEFL Primary assessment in China in April 2016. 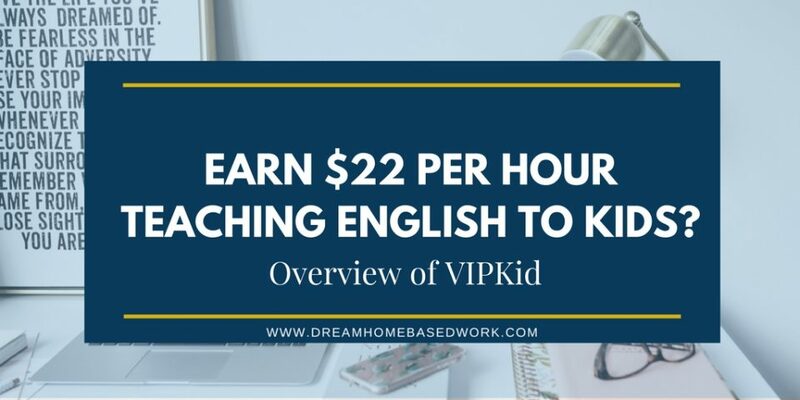 There are tons of benefits for teaching the English language at VIPKID. So let's begin with the overview. VIPKID is a China-based online educational platform founded in 2013 with the mission to provide the America Elementary School experience to Chinese children, between the ages of 4 and 12 years, from the comfort of their home. It connects students in Beijing, China with English speakers around the world through video conferencing. Teachers will guide students through pre-made slides and help them improve their English speaking and conversation skills. A Bachelor’s degree in any field – it doesn't matter what degree it is, just have one. Must be a native English speakers from North America, but you are allowed to teach from anywhere in the world. You must also have some experience in the teaching line. Though this doesn't have to be for experience – just have something to show that you have a background of being good with kids. Must be ready to teach a minimum of 7.5 hours per week during Beijing peak times. That's no more applicable as of 2017 update – now there's no minimum number of hours required to teach. Have a passport – you will need to present a copy of it once you get hired. To get started, first create an account, fill up the required fields, and submit your resume. In this step, you will schedule to have a 30mins one on one interview session or a demo lesson with VIPKID representative in Beijing. This allows you to display your teaching skills to the VIPKID representative. After the interviewing stage, you'll be Introduced to how VIPKID platform works. This comes with loads to information such as the curriculum, technical standards on how to teach online, with tips and videos with a quiz at the end. In this step, you'll need to take a mock-up class in which one of the experienced teachers would be acting like a student. This session will last for 25mins. The materials needed for this session would have been given to and reasonable time for preparation. This is done to pre-expose their standard. And your pay would be based on how well you excel. This step deals with reviewing signing of the contract document. Plus you will also need to create a teacher profile that will a 15-second bio video introducing you. This is the first impression parents and students would get to receive before enrolling, so you have to make it a little bit more catchy, such that they can be convinced to hire your service. Congrats! Now you're a VIPKID teacher. Sign into your teacher portal, select your availability, and enjoy your teaching. Each and every stage of the application process is timed; it shouldn't take you anything less than a week to complete and start teaching. Each class takes 30 minutes, and teachers are paid between $14 and $22 per hour. The minimum earnings are $14 to $18 per hour. Your minimum hourly wage is determined by your experience and your performance during the demo lesson. You will receive $1 USD for teaching 30 or more classes per month – resulting to 15 hours per month. Meaning that your hourly base rate will increase by $2. You will earn additional 50 cents if you teach more than 45 lessons per month that is, 22.5 hours per month, for each class. Meaning that your hourly rate will increase by $3 USD. Another $1 per class for Finished class Bonus when you successfully complete all your classes without technical difficulties. Your schedule should ordinarily be opened up 2-4 weeks in advance. Short notice classes. You'll, therefore, earn an additional $2 USD per class if a time slot is booked less than 24 hours in advance – $4 USD extra per hour. You will earn $5 USD additional bonus when a student signs up for a trial class. If a friend signs up through your referral link, and he ended up teaching at VIPKID, you will earn a $50 USD referral bonus after your friend teaches his first class. So what are you still waiting for? Sign up at VIPKID and start throwing between $14 to $22/hour into your account. Don't forget to check out other places with ESL tutoring jobs here.